Everyone has times when situations and even life seems hopeless. But, there is HOPE! We all need to feel heard and understood. We need one another to help navigate this ever-changing and challenging world. And, we all need God. We would be honored to help walk this difficult time with you. The Counseling Ministry at Bethel Church provides a safe place for those with a wide range of challenges – relational, personal, and spiritual. No matter what your circumstance is, you can find hope and healing through the redemptive compassion of Jesus, His Word, and His Church. You will hear from someone from the Counseling Ministry within 3 business days of receiving completed forms. If you have any questions, please call the Counseling Ministry administrative assistant, Robin Noel, at 701.232.4476. You must be 18 or older to schedule an appointment. We are so thankful God has provided the resources for us to begin the Counseling Ministry at Bethel Church. To sustain this ministry, we encourage donations from our church family, and we ask those who benefit from this service to share in the cost of providing it. If you are receiving counseling, we suggest a $20 nondeductible cost-sharing donation for each visit. See below how to care for this consideration. If you are not receiving counseling, but would like to donate toward the expenses of this ministry so that others may benefit from it, you can make a tax-deductible contribution. Purpose Statement: Provide a safe place for those with a wide range of challenges – relational, personal, spiritual – as well as hope and healing through the redemptive compassion of Jesus, His Word, and His Church. Vision: To be a sought after place of refuge for those inside the church as well as outside the church through the loving, compassionate, and hope-filled Gospel of Jesus Christ and His Church. To provide affordable counseling services for those in crisis and in need, connection for the development of authentic relationships, and training/education for the church to carry the redemptive compassion and hope of Jesus everywhere they go. Provide a safe place that is non-judgmental, loving, and compassionate for those in need of counseling services. Provide hope for people who are navigating their brokenness and grief through the life-changing gospel of Jesus. Provide treatment options tailored for the individual and their journey that bring healing and freedom and build on the truth of who they are in Christ. Provide opportunities for those in need of healthy connection and discipleship to integrate into Bethel’s classes and growth groups. Provide opportunities for clients to give back in various ways as they are strengthened and display the transformational power that has changed and equipped them to do so. Provide training and equipping opportunities for the Bethel family to reach out to those with whom they connect and minister. Provide opportunities for the community to meet relevant felt needs, allowing for a non-threatening opportunity and bridge into lives that need hope. Loree Veith has been married to her best friend, Andy, for 31 years. They enjoy golfing, spending time with family and friends and sharing Jesus as they strive to live out R.E.A.L. Lives for God’s glory. They have 4 grown children: Brandyn, Bryanna, Mikayla, and Jaryd and one very adorable and precious grand baby, Jaedyn Drew. Loree has a love for worshiping God through music and the arts. She is also passionate to see people connect authentically and vulnerably to Christ and to others. She believes that in doing so one must realize how weak and wounded we are as well as how very gracious and loving our God is. 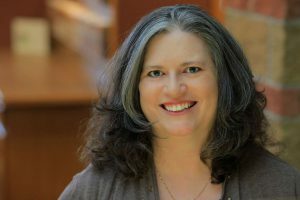 Liberty University is Loree’s alma mater for both her BS in Psychology and MA in Counseling. She is currently pursuing licensure in the state of North Dakota. 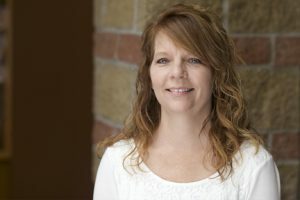 Robin Noel has been attending Bethel since she moved to Fargo in 2016. A military spouse, Robin has called many places home, but chose to settle and set down roots in Fargo. Outside the Bethel office, she serves in the Children’s Ministry with both Sunday School and AWANA. Call us at 701.232.4476 for more information.